Thinning of hair or hair fall is a common problem that affects both men and women. As hair is regarded as an asset that enhances one’s physical personality. Similarly, thinning or hair or hair fall causes a lot discomfort and embarrassment both for men and women. Women seem more continuous about hair care and always want longer, stronger and thicker hair growth because they consider hair as the Crown of their Head while thinning of hair makes it really difficult for women to have thick, dense and crowning glory hair. Thinning of hair may be inherited from parents through genes. If your parents have had thin hair and it runs in your family then you would have thin hair too. Sometimes many other factors also contribute to thinning of hair. Let's have a look on some common causes behind thinning of hair. Continuous thinning of hair may lead to hair fall or baldness. 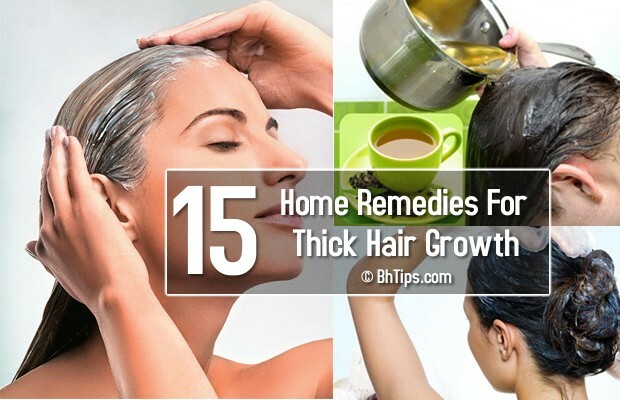 However, there a certain expensive treatments are available in the market that promise re-grow your lost hair but before going with these too expensive hair treatments why not try some natural home remedies for longer, stronger and thick hair growth? These natural home remedies for treatment of thinning hair are less expensive and most of the ingredients are readily available even in your kitchen. 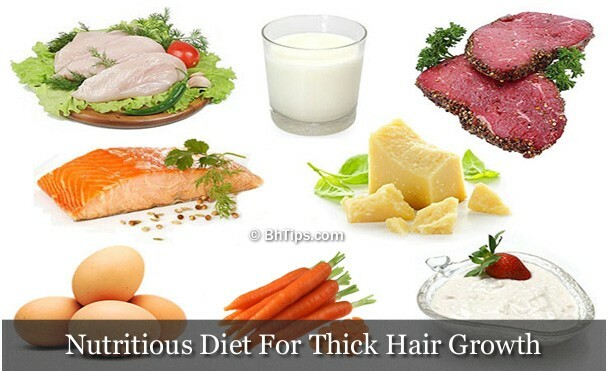 Let's have a look on some best natural home remedies to cure the problem of thinning hair. 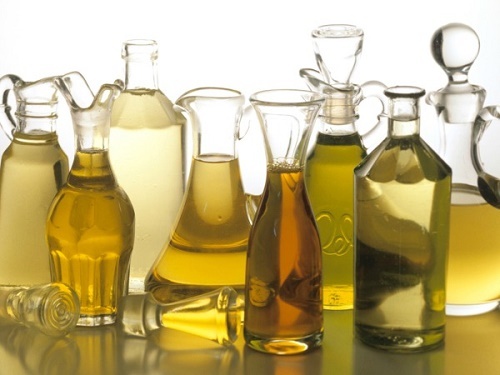 Warm Oil massage with either Olive, Almond or Coconut Oil is considered very helpful to make hair stronger and thicker. Take some warm oil and massage your hair and scalp. Massage can increase the blood circulation and make hair healthy and enhance thick hair growth. After massage let the oil stay on scalp and hair for 40-60 minutes. Finally rinse off with mild shampoo. Mash a ripe banana and beat an egg white and mix them well. Now add a little honey(about half teaspoon) in this mixture and apply on your hair and scalp. Then wash off with mild shampoo. For best results you can repeat this twice per week. An oil mixture made from almond oil, olive oil, avocado oil and coconut oil is highly beneficial for denser and stronger growth of new and existing hair. According to your hair length, take and mix equal quantities of almond oil, olive oil, avocado oil and coconut oil. 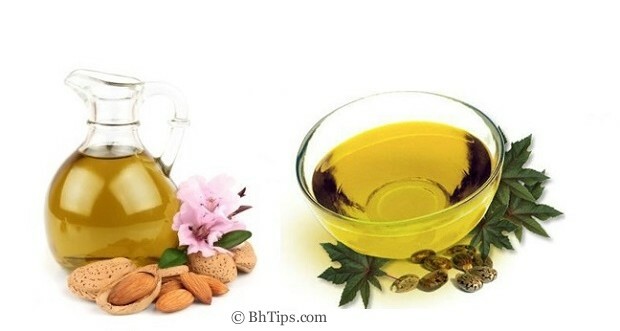 Warm the oil mixture and apply on scalp and hair from roots to tips. Let it stay at least for 1 hour and then wash off with mild shampoo. 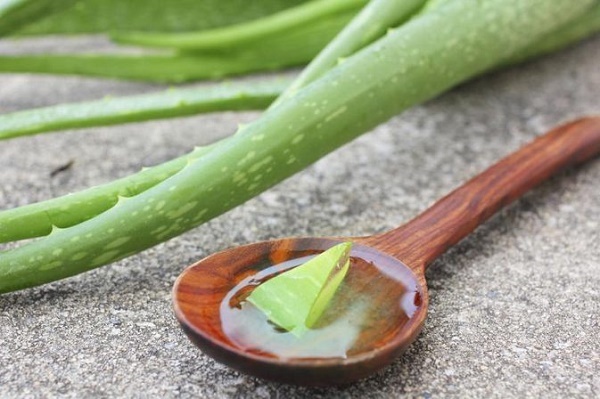 Aloe vera gel is also considered very effective for treatment of hair infection, reduces dandruff, prevents hair fall and enhance thick hair growth. Massage the scalp and hair with Aloe vera gel. Let it stay on hair for 30-40 minutes. Egg is a rich source of protein, essential vitamins and minerals which plays a very important role in thicker and stronger hair growth. Beat an egg and apply on your scalp and hair from roots to tips. Let it stay for half an hour then wash off with mild shampoo. For best results repeat this process twice per week. Mix equal amounts of warm castor and almond oil and massage on your scalp and hair from roots to tips. Let it stay for 40-60 minutes and then rinse off with mild shampoo. Apply this mixture at least once a week and see the difference after 4 weeks. 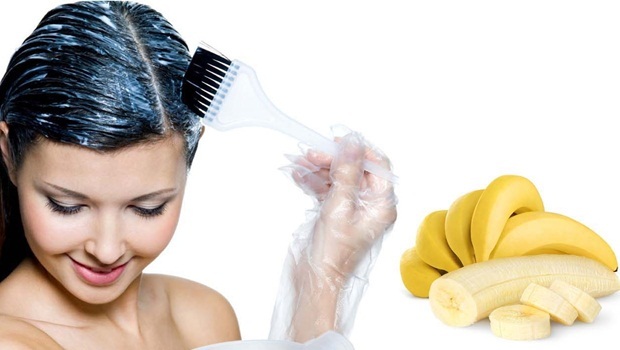 An Avocado and banana hair mask is also very helpful to prevent and cure thinning of hair. Mash an avocado and a banana together to make a smooth creamy mixture. Now massage your scalp and hair with this mixture. 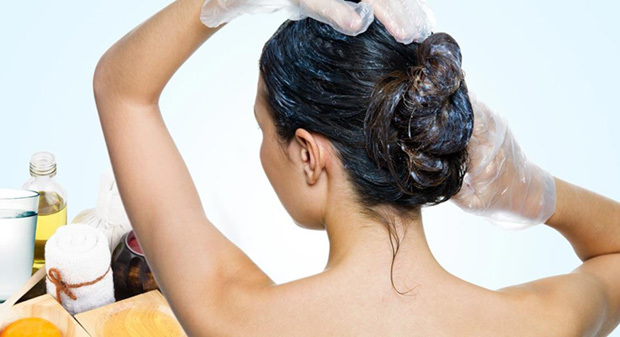 Leave it on for 30-45 minutes for proper absorption of nutrients and rinse off with a mild shampoo. 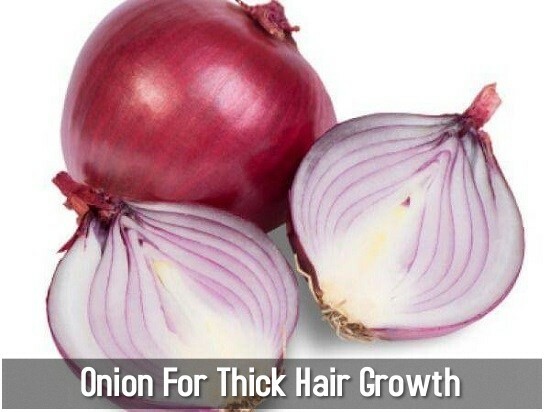 Onion juice is very helpful for stronger and thicker growth of hair. Cut onion and rub on area where hair is very thin. Continuously rub vigorously until area turns red. This stimulates hair follicle and initiates re-growth of hair. For best results, repeat this process at least twice a week. Alternatively, apply the onion juice on your scalp and hair. Let it absorb for one hour and then wash off using a mild shampoo. To get rid of thinning hair, you can use the fenugreek by following the given instructions. 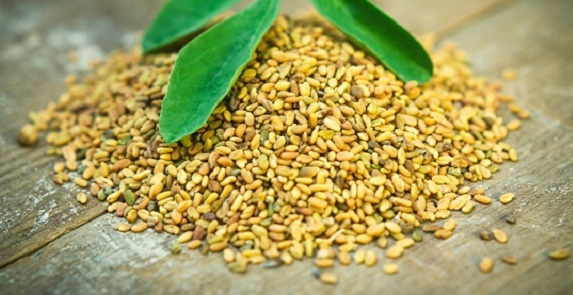 Soak 2-3 tablespoons of fenugreek seeds in water before going to sleep. Next morning, grind the soaked seeds to make a fine paste. Now add 1 tablespoon of coconut milk in this paste and mix well. Apply the paste mixture on your hair and scalp and allow it to stay for about 30 minutes. Now wash your hair with lukewarm water. For best results, repeat this process at least once per week. A fine mixture made by mixing amla and coconut oil is very beneficial for thicker, stronger and dense hair growth of new and existing hair. Take one tablespoon of amla powder and mix with two tablespoons of coconut oil and heat until it start boiling. Strain the oil and massage it onto your scalp before going to bed. The next morning, wash your hair with mild shampoo. 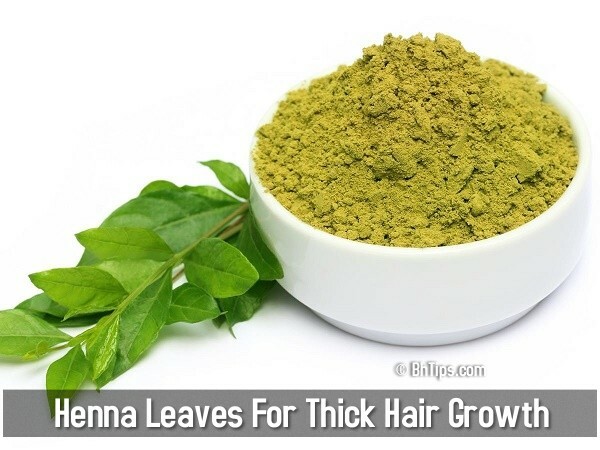 Application of henna leaves paste is highly beneficial to get thicker and lustrous hair growth. You can use the henna for thicker & denser hair growth by following given instructions. Take 4-5 tablespoons of henna leaves powder and mix with some water to make a thick paste. Now wear gloves and by using a hair brush apply henna leaves paste to your hair and scalp and wear a shower cap to avoid stains. Let the henna paste stay for few hours and then rinse your hair and finally wash off by using your regular shampoo. Alternatively, for better results, mix some henna powder with green tea and make a fine paste. Apply to your hair and scalp and follow the same procedure. Finally rinse you hair and wash with shampoo. 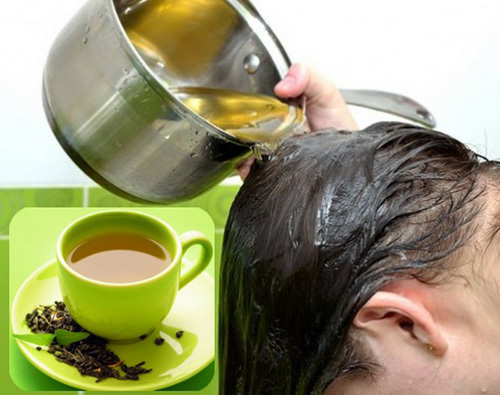 Strong anti-oxidant properties of green tea are very beneficial to fight against skin hair thing and helps a lot in re-growth of new and healthy hair. Take two green bags or brew green tea leaves in a cup of water and allow it cool down. When it become lukewarm then apply this on the scalp and hair. Leave it stay for 30-45 minutes. Finally rinse off thoroughly and pat dry your hair. 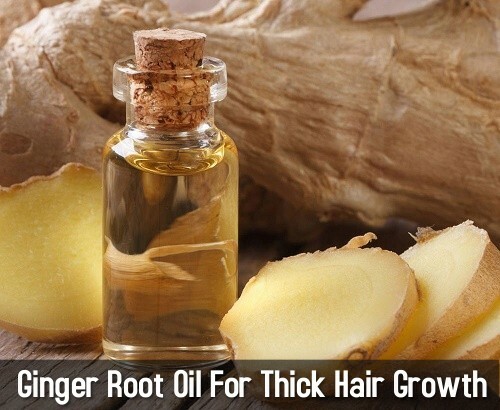 Application of ginger root oil is another way to promote healthy hair growth. Ginger improves blood circulation to reach essential nutrients to hair roots, fight against dandruff and stimulates hair follicles to promote healthy hair growth. To enhance the affect of ginger root oil you can mix it with some olive or coconut oil. 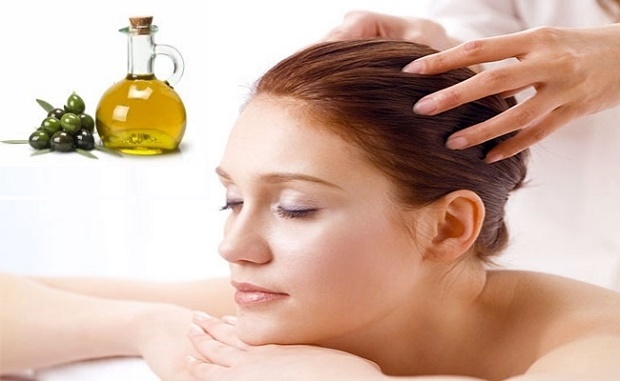 Massage the hair and scalp with this oil mixture. Let it stay at least for one hour before washing off. A hair cleanser made from licorice root is also very beneficial to promote healthy hair growth. 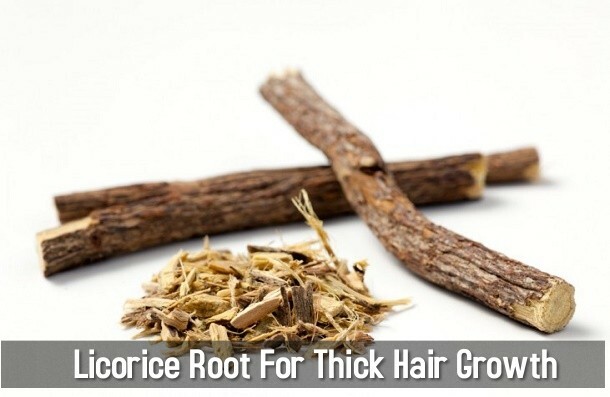 Licorice root fights against hair loss, cures dandruff, treats fungal infections and stimulates the thicker hair growth by repairing and strengthening new and existing hair. To make this cleanser, add one tablespoon of dried licorice root per three cups of boiling water. Let the licorice roots steep at least for one hour. Then wash your hair with this cleanser. A nutritious diet containing protein and all essential vitamins and minerals is highly recommended to cure and prevent thinning of hair. Try to increase protein and iron rich foods in your diet plan. Try to include eggs, meat, yogurt and fresh green vegetables in your diet. Increase your intake of spinach, soy beans, turnips and cabbage. Fresh Carrot juice also help to cure the problem of thinning hair because it contains a good amount of vitamin A and copper which are also essential for thick and healthy hair growth.